We can produce cuboid units to a custom size, or we can produce shapes, tapers and curves as required. There is no minimum quantity so if you want one for a garden feature or 1000 for a motorway embankment we are happy to help. Whilst 3” x 3” zincalu is the standard mesh for gabions, we can make them with whatever mesh you require. 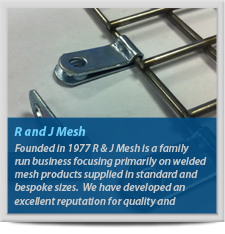 We have made many gabions with other mesh types (e.g. 2” x 2”) as well as gabions made entirely from stainless steel.